"When words become unclear, I shall focus with photographs. When images become inadequate, I shall be content with silence." 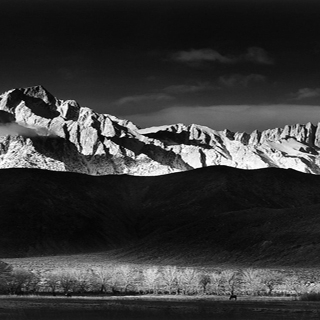 Ansel Adams was a dedicated artist and environmental activist, who played a seminal role in the growth of an environmental consciousness in the U.S. and helped develop the citizen-driven environmental movement of the 1960s. 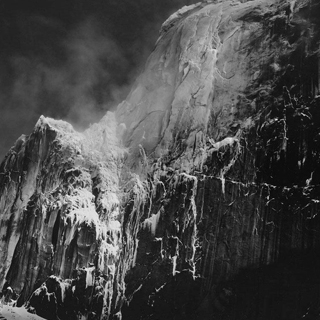 Adams' professional breakthrough followed the publication of his first portfolio, Parmelian Prints of the High Sierras, which included his iconic image "Monolith, the Face of Half Dome." The portfolio was a success, leading to a number of commercial assignments. Between 1929 and 1942, Adams' work and reputation developed. Adams expanded his repertoire, focusing on detailed close-ups as well as large forms. He spent time in New Mexico with various artists, including Alfred Stieglitz, Georgia O'Keefe and Paul Strand. He began to publish essays and instructional books on photography. During this period, Adams joined photographers Dorothea Lange and Walker Evans in their commitment to affecting social and political change through art. Adams' first cause was the protection of wilderness areas, including Yosemite. By the 1960's, appreciation of photography as an art form had expanded to the point at which Adams' images were shown in large gallery shows and museums. In 1974, the Metropolitan Museum of Art in New York hosted a retrospective exhibit. His work is in the collections of major museums around the world and he is to this day, and is considered one of the great masters of landscape photography, the silver print, and one of the founding fathers of photographic medium as art form.